Do you want to install a penetration seal, but aren’t sure which product is right for your situation? 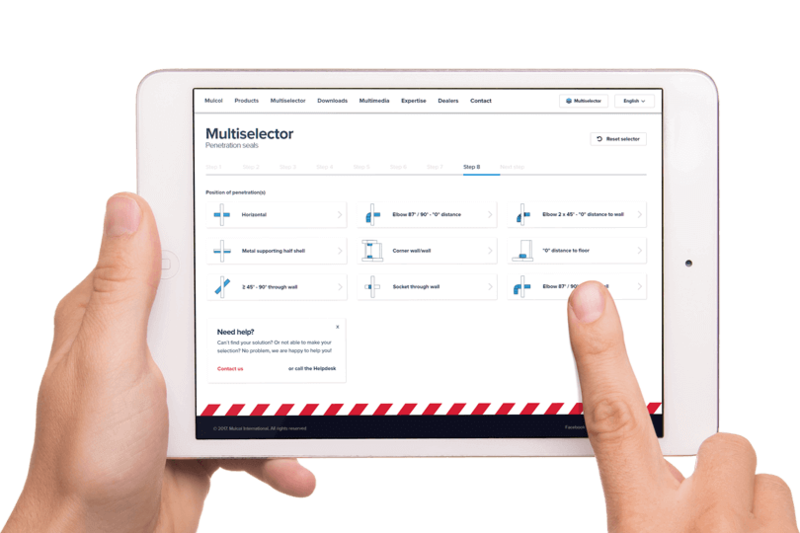 Just answer the quick questions in our Multiselector. 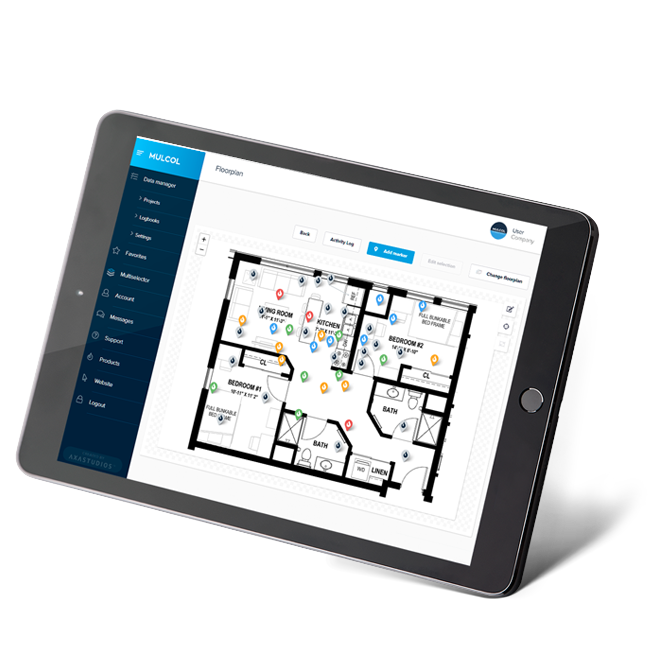 This makes it easy to find your certified fire protection solution. Do you have little to no installation space? The Multicollar Slim is the slimmest universal fire collar in Europe. With height of just 30 mm, any solution is possible. Save time and money on your project with the Multidisc. With a flick of the wrist, you will have an approved firestopping seal for penetrations up to a diameter of 26 mm. No more loading spaces filled with different diameters of insulation sleeve. With the Multitherm Bandage roll, universal thermal insulation is always within reach. The wrap fits around metal pipes up to a diameter of 114.3 mm. 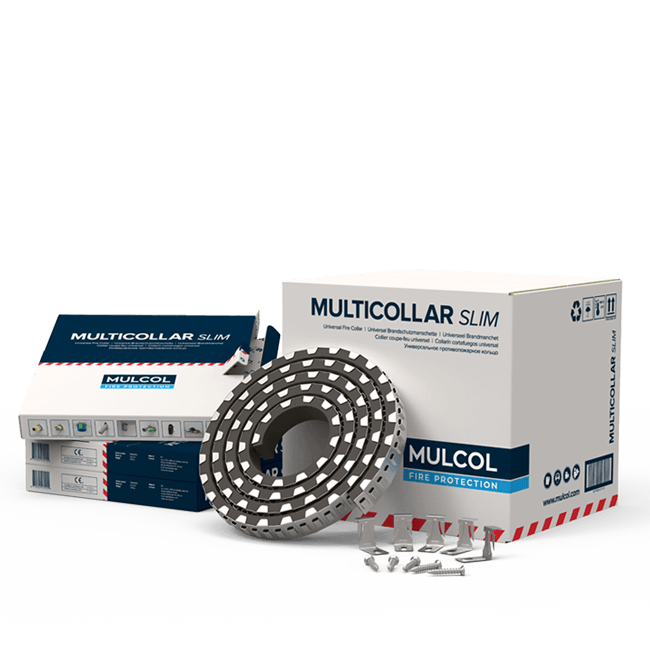 Mulcol International is an innovative producer of passive fire protection products. We make practical, effective and easy-to-install products that meet the latest European standards. We test our products continuously. At Mulcol International, we have one goal: to excel in the quality of products designed for fire protection. Detailed information? Scan the QR codes on the packaging! 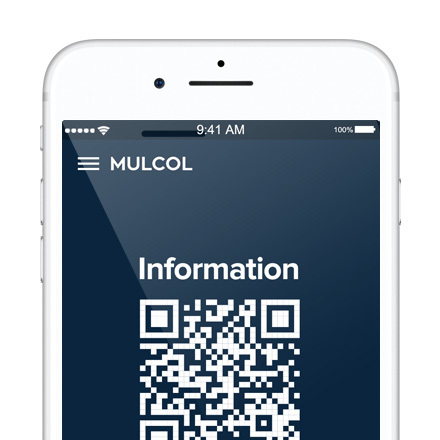 Would you like further information on Mulcol products and their use? You will find a QR code on all of our packaging. Scan this code with a QR code reader on your smartphone or tablet to see all of the information on the product. 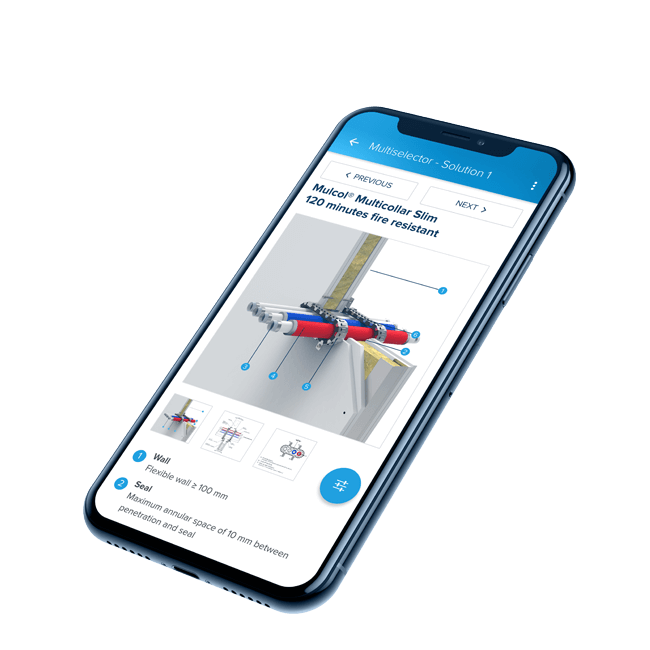 This gives you instant access – anytime, anywhere – to technical documents, approvals, tested penetrations and other information on the product and the unique applications. Mulcol International strives for sustainable production. We make every effort to ensure our products, packaging and procedures are sustainable and friendly to the environment and human health. That is why we provide effective, environmentally friendly solutions. We feel a sense of responsibility for the environment and the safety of current and future generations. Every day, we strive to find the right balance between these aims. 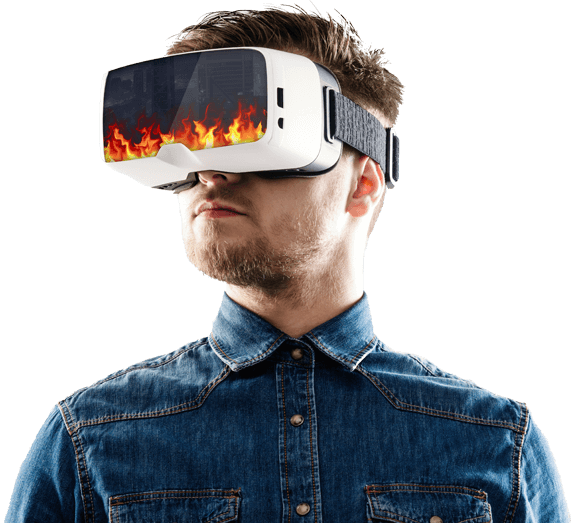 Searching for the right firestop products and solutions can be a time-consuming affair. That is why Mulcol developed the Multiselector for penetration seals. Just answer a couple of quick questions to find the right certified fire protection solution for your situation. Did you find the product you need? 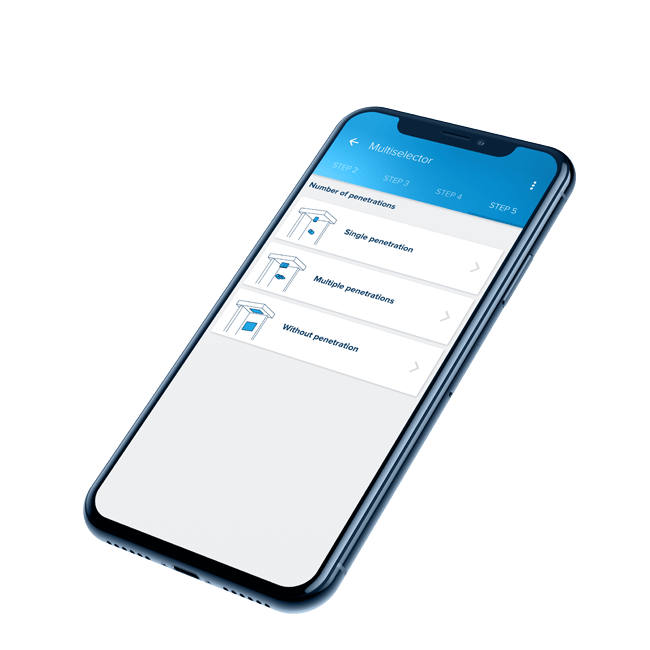 If so, you can view the documents, download or print the solution or send it directly to the worksite or to yourself. Would you like to order the product? Please contact one of our dealers.